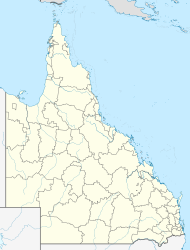 Kurwongbah is a sparsely settled locality in the Moreton Bay Region, Queensland, Australia. In the 2016 census, Kurwongbah had a population of 1,430 people. A section of the eastern boundary of the locality is roughly aligned with the North Coast railway line. In the south east corner Sideling Creek Dam was built in 1958, creating Lake Kurwongbah. On the shores of the lake is the Lakeside International Raceway, a motor racing venue. A large quarry in the south is accessed by Dunlop Lane and owned by Holcim. In the 2011 census, Kurwongbah recorded a population of 1,420 people, 48.5% female and 51.5% male. The median age of the Kurwongbah population was 38 years, 1 year above the national median of 37. 81.4% of people living in Kurwongbah were born in Australia. The other top responses for country of birth were England 4.2%, New Zealand 3.6%, South Africa 1.4%, Netherlands 0.6%, Germany 0.5%. 93.8% of people spoke only English at home; the next most common languages were 0.6% Dutch, 0.4% Italian, 0.3% Indonesian, 0.2% Afrikaans, 0.2% German. The name Kurwonbah is alleged to be the Aboriginal name for the local Sideling Creek. Kurwongbah State School caters for students from Prep to Year six. It opened in 1986. In the 2011 census, Kurwongbah had a population of 1,420 people. ^ a b Australian Bureau of Statistics (27 June 2017). "Kurwonbah (SSC)". 2016 Census QuickStats. Retrieved 3 November 2018. ^ a b "Kurwonbah (entry 45445)". Queensland Place Names. Queensland Government. Retrieved 30 May 2014. ^ a b c Australian Bureau of Statistics (31 October 2012). "Kurwongbah (State Suburb)". 2011 Census QuickStats. Retrieved 1 October 2014. ^ "Kurwongbah SS". Retrieved 31 January 2017. ^ "North Pine Presbyterian Church (entry 600767)". Queensland Heritage Register. Queensland Heritage Council. Retrieved 11 July 2013. ^ "North Pine Pumping Station (entry 602691)". Queensland Heritage Register. Queensland Heritage Council. Retrieved 11 July 2013.